Posted on February 28, 2019 at 9:00 am. In the last 100 years, the rapid advancements in science and technology have made a strong impact in industries around the world. The plumbing industry is one of the beneficiaries of this revolution. Before the 21stcentury, plumbers had to do everything manually which not only made their repair jobs harder which had a negative impact on the plumbing quality as well. Today, plumbers have a large variety of tools and technologies at their disposal. The use of technologies helps them to diagnose the plumbing issues in homes which in turn assist to efficiently complete the repair job, resulting in long-lasting repairs. Among these technologies, video camera inspection is one of the most reliable solutions. Moreover, video camera inspection is also useful for the young plumbers with relatively low experience as it guides them to locate those issues which only the most experienced plumbers can successfully guess on their own. How Does Video Camera Inspection Work? If you hire a plumbing company in Chattanooga, TN then they will send a certified plumber. They use a flexible rod which is attached with a camera supporting high resolution video capabilities. The rod is placed at the pipe’s end. While the rod is entered into the pipe, it continues to shoot videos for all the things which it sees in the “inside” of the pipe. The video recording facilitates to homeowners to understand what the actual root of their plumbing issue is while they can also learn why their hired plumbing company in Chattanooga, TN offered certain suggestions. A high-quality video camera inspection system can unveil the depth of the drain, the material which is used to create it, and the direction of the drain. When you acquire the services of a plumbing company in Chattanooga, TN then they can help you to not only identify current plumbing issues in your home but also ensure that they do not occur in the future. What Can Camera Inspection Detect? As a homeowner, it is important to understand what exactly this inspection can uncover. Usually, camera inspection mostly detects those issues which are otherwise overlooked. If a plumber from a plumbing company in Chattanooga, TN begins the inspection then they can identify the following. Damaged or cracked areas of the pipe. Obstructions and blockages like thick grease or food particles. The penetration of the tree roots. Sometimes, plumbers from a plumbing company in Chattanooga, TN who do not have the relevant accreditations and licenses charge less for plumbing to tempt homeowners in using their services. While initially, it may seem that their repair job was good enough. However, after some time the plumbing issues can resurface again, which means that all the money spent on the repair job is not only wasted but you might also have to address a bigger plumbing issue. 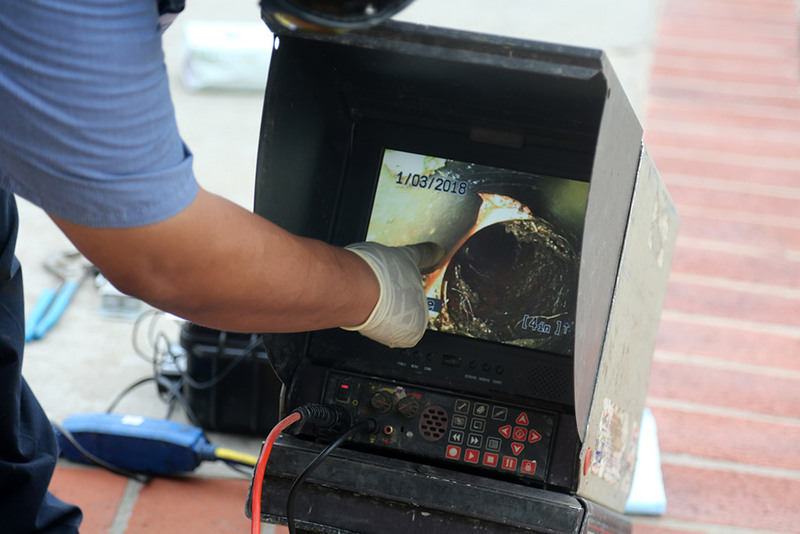 Video inspection can help you to double check or verify if your recent plumbing repair was performed adequately. Additionally, it can help you to locate any blockage or debris which still remains in the pipe. Why Go for Video Camera Inspection? In order to ensure that you can prevent costly plumbing repairs, make sure to select a plumbing company in Chattanooga, TN who can monthly perform a camera inspection in your home. Other than providing effective maintenance, it can offer the following benefits. The use of technology has made sure that you can ascertain the condition of your pipes in detail, something which was not traditionally possible. You can use it for the record and evidence of the damaged state of your pipes. Video camera inspection ensures that you can easily identify issues which mean that you do not have to concern yourself about digging; instead you can push the camera close to the blockage. If you are dealing with backed up toilets and sinks where the conventional plumbing solutions have failed, you must seriously give a thought to a modern solution like a video camera inspection. Similarly, if you start to get unusually high-water bills which are inconsistent with your water usage, use a video inspection to see if everything is alright. It is not uncommon for homeowners to lose their valuables like jewelry that have accidentally dropped it down the drain. By using a video inspection, you can find your item and relax while a reliable plumber from a plumbing company in Chattanooga, TN can think about a plan to get it out safely. Are you getting high water bills? Do you smell foul odors? Did you hear strange noises from your pipes? These are the common symptoms of a water leak. Traditionally, It is not possible to see the leak by yourself but you can use a camera inspection to change this. An inspection can find the exact leak source after which a certified plumber from a plumbing company in Chattanooga, TN can do the rest. If you have recently moved to a new home, then a video camera inspection can serve you quite well. Ask a plumbing company in Chattanooga, TN to determine the state and condition of your new plumbing system. Make sure that they offer video camera inspection as a service. In case you do not currently have your home blueprints, it will be tricky to remodel your home without knowing the location of all of your pipes. By using a video camera inspection, it is easy to learn about the plumbing structure of your home so the remodeling does not meet any hiccups. Have you made up your mind to use the video camera inspection and are you looking for the best plumbing company in Chattanooga, TN? Contact Metro Plumbing Heating and Air so we can help you with the inspection.